Beverage tubing for a keezer build...will remove the picnic tap. Until I get a collar and taps on my keezer, I gotta use these, and I'd like to limit bacterial growth as much as possible. Looking for an upgrade. Checking it out based on reviews. Wanted to try a more flexible and bacteria resistant dispensing hose. I have two already and like how they have performed. Love having new lines for my setup. Beer is coming out well?? Quality Ball Lock and Great Tubing, but tap broke after a few uses. 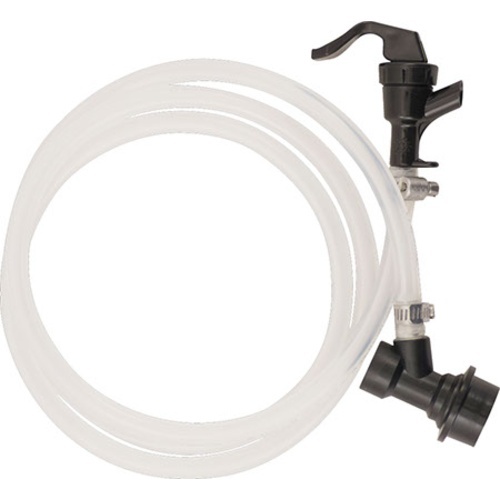 The tubing and ball lock connector are great, but the first time I used it was on a batch I made for a pig roast and 20 mins in the cheap plastic picnic faucet handle broke off while pouring a beer. I had to keep taking it apart to snap the handle back on. So annoying. Good quality however the ball lock fitting was extremely hard to get on the keg fitting after installing and removing a couple of times it seemed to get easier. Would recommend.